Petroleum and lubricants labeling solutions in our daily work - it is important thing in our nature of lubricants business. 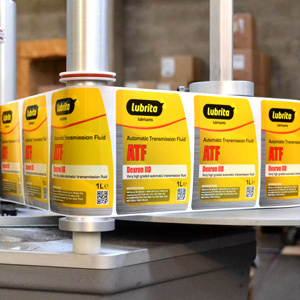 We understand the importance of Lubrita labeling program and uniquely qualified labeling within the petroleum and lubricants industry. With our qualified materials, Lubrita oils, lubes and greases are manufactured with the best practices, inventory management and no doubt and "no-worry" about Lubrita all production and labeling solutions. How to read and understanding our labels please click here.